You are here | Home | HCP Pumps South Africa News | Rubber lined pump casings and impellers. 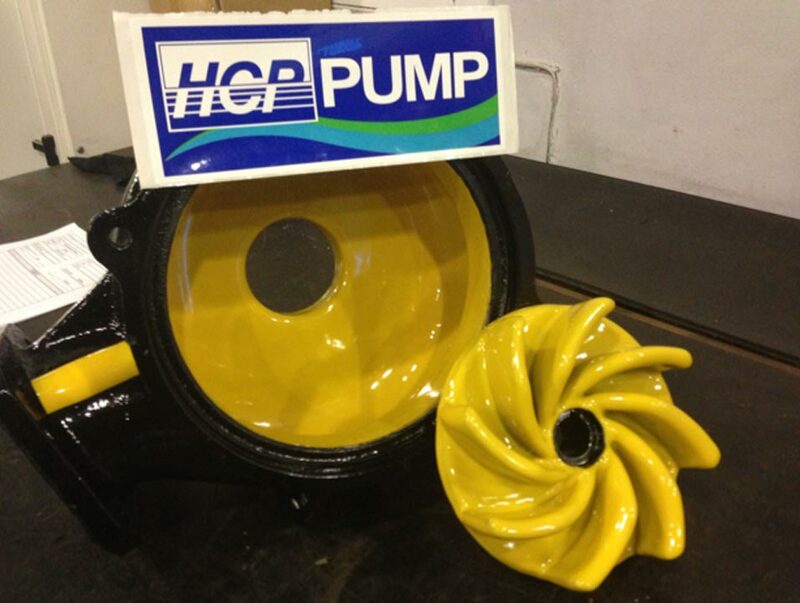 HCP Pumps SA has extended our product offering by including rubber lined pump casings and impellers. The need for wear resistant pumps in the wastewater treatment and mining industry prompted us to look for workable solutions to wear caused by sand and grit in the water. Numerous wastewater treatment facilities that make use of our AF-series wastewater pumps have opted for the new rubber lined pumps. The product was developed in Germany and is a seamless rubber coating that can be applied in any thickness. We currently use it on the AFU series vortex pumps. These pumps are used mainly for sludge transfer and de-gritting and due to the excessive wear on the hydraulic components we have managed to extend the life of the pump by up to 3 times that of a normal cast iron pump. We are expanding the rubber coatings into the dewatering range of pumps which is used in the mining sector. The coating can also be used on pumps that are used in aggressive chemical/acid applications. Contact our sales department or more on this product and its benefits.